We all remember those monumental days in our lives—the birth of our children, our wedding, college graduation, and for me, most recently, the discovery of what in my opinion is quite simply the world’s best pasta sauce. Yes, this discovery was that profound. Now I know that taste is subjective, but as an internationally published food writer, cookbook author and someone with over 300 restaurant reviews under my belt, I like to think that I am somewhat of an expert. The genesis of this extraordinary product line is anything but typical—and more importantly, is 447 years in the making. Born with passion in the hilltop city of Bienevento, Italy, these timeless culinary treasures are imbued with a sense of love and passion that is palpable. Overseen today by the 17th generation ‘keeper of the family's secret recipes,’ Chef Antonio Suppa celebrates an homage to a rich family heritage passed down to him through his father, Silvio. 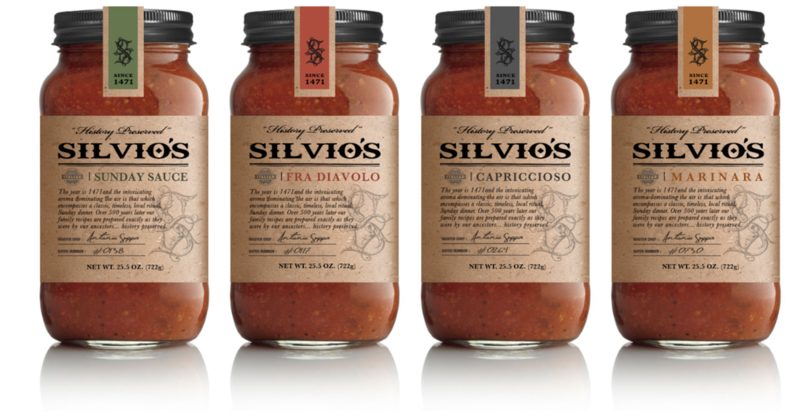 Boasting four different options; Sunday Sauce, Capriccioso, Fra Diavolo and Marinara, Silvio’s Sauces will enhance virtually any dish and quite simply, make it sing. Be it pasta, meat, roasted vegetables, fish and just about anything else that your imagination can conjure, I am certain that like me, your life will quite simply be changed—forever.